Commonly a root canal is complemented with a post and core buildup service. When you undergo a root canal, it means that the nerve conduits in the roots have been cleaned out. Now, there is no supply of blood that can continue to nourish your teeth, so in essence the tooth is dead. As a result, the tooth will become brittle. That is why a post is needed to reinforce the tooth, so that it won’t eventually break. The main purpose of the post is to help strengthen the teeth. The post can be made of different materials, all of which allow you to get back the teeth’s function especially chewing. 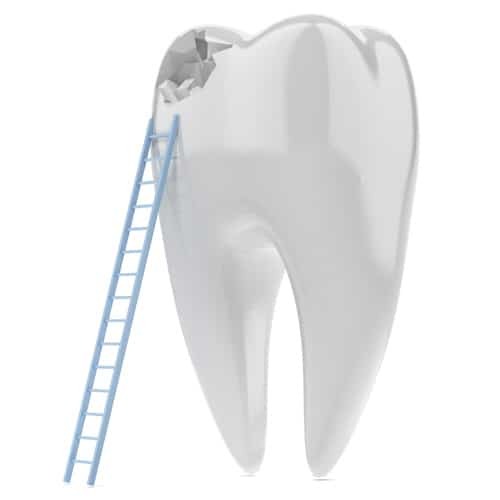 These include a post that is made from a pre-fab fiberglass, which is more ideal if the sides of the teeth have remained after all the root decay has already been eliminated. However, if only a little has been retained, we need to create a cast post, which is made in the dental lab. The process usually doesn’t take more than a day to complete the cast post.